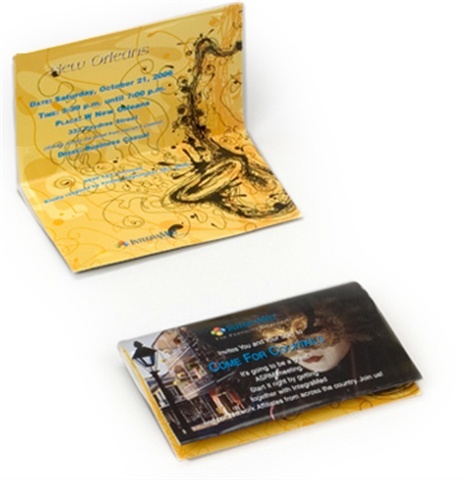 A major health care company used this compact, colorful and creative card with Dixieland music for a special event in New Orleans. 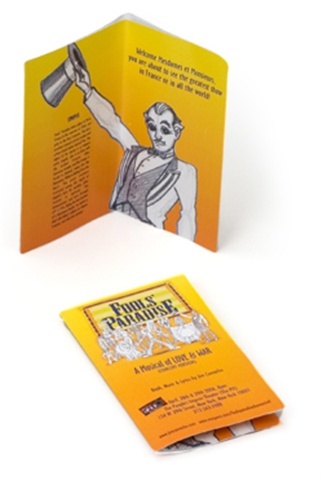 Promoting a play in New York using a sound clip from one of the songs in this musical made this promotion a success. A CEO used his voice to promote the advantages of working with his company. 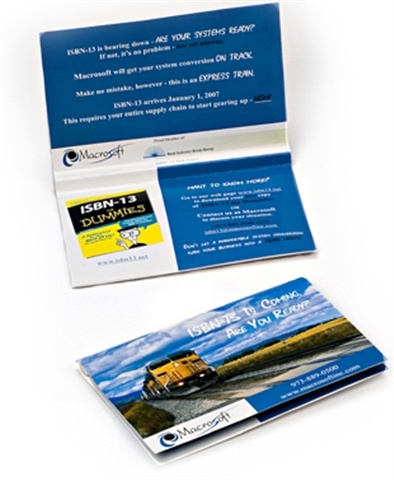 As new regulations in the book industry became necessary, Macrosoft, Inc. produced this clever mailer to promote their software created for publishers. 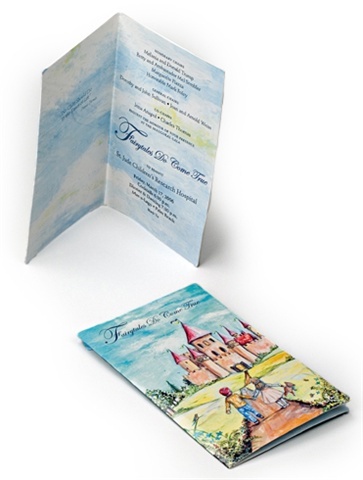 St. Jude Children’s Research Hospital fashioned this beautiful invitation for their annual charity event. 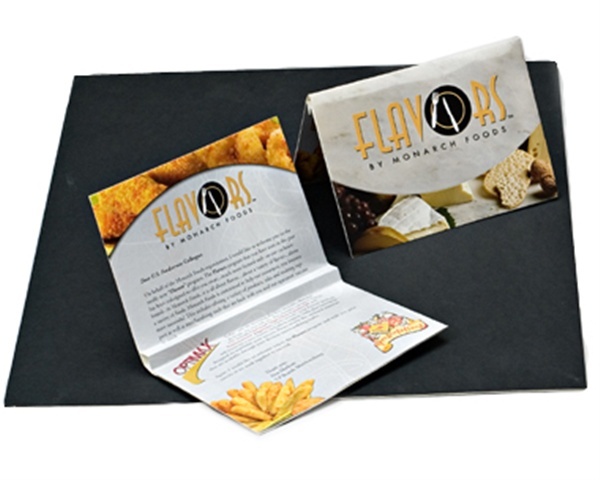 A food distributor sent this card as the first in a series of mailings touting a new buyer program. Their custom message is a very clever song parody. Dr. Scholl’s partnered up with Wal-Mart for this promotion that was created to get store managers on board to meet sales goals. 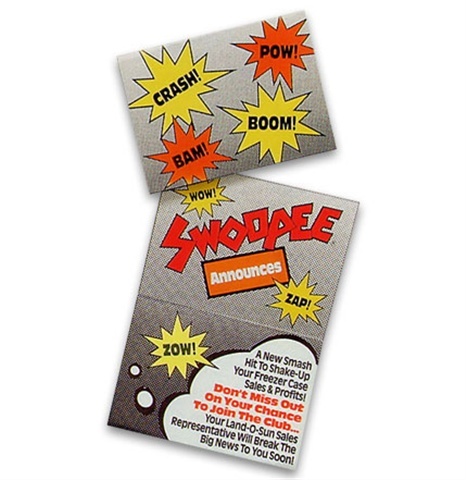 A toy manufacturer used this clever mailer to boost sales of their new game. 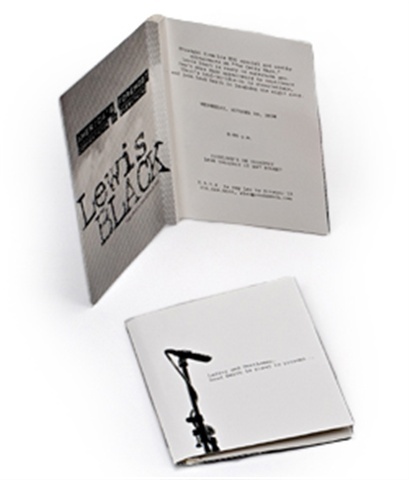 A top international law firm sent out invitations to a private party at the world famous comedy club Caroline’s starring comedian Lewis Black. 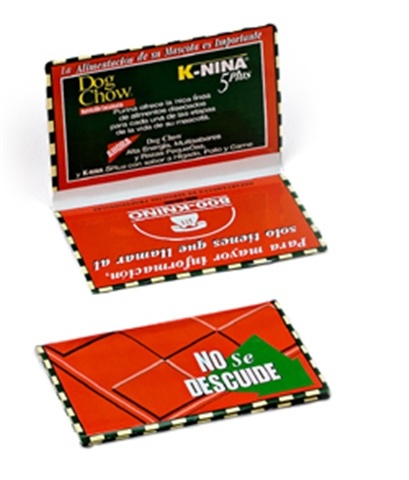 Here is a promotional sound card for a Latin division of Purina. 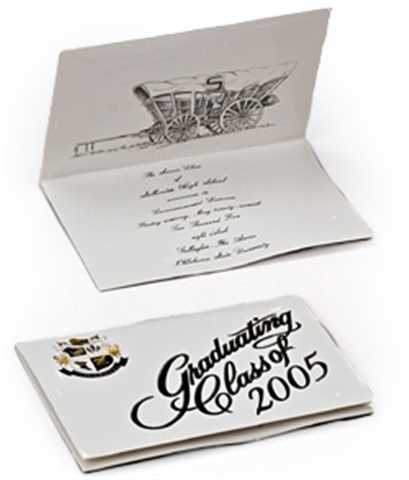 A high school graduating class wanted to really make a lasting impression with these invitations that played their school song. 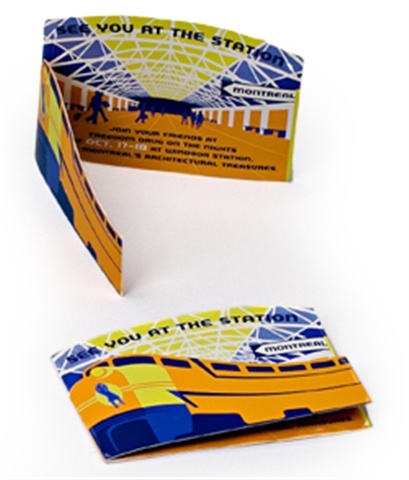 A major pharmaceutical company created this card promoting a unique corporate event in Montreal’s fabled Windsor Station. Epic Records recorded a custom message from singing star Shana Petrone to help promote her debut record. Ruth's Chris Steak House handed out these musical cards to their customers who celebrated a birthday in their restaurants. Certainly a memorable keepsake. 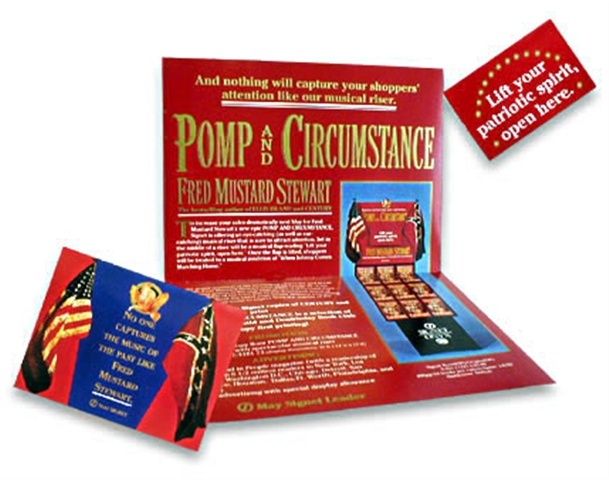 McGraw-Hill School Division used this colorful custom card that played the "STAR SPANGLED BANNER"
Starting at a minimum of only 1,000 cards, we can incorporate your custom pop-up design. 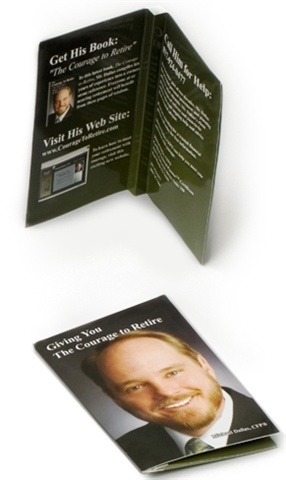 This custom card, produced for Amway, not only had a pop-up hand design, our APPLAUSE sound was heard when it opened. 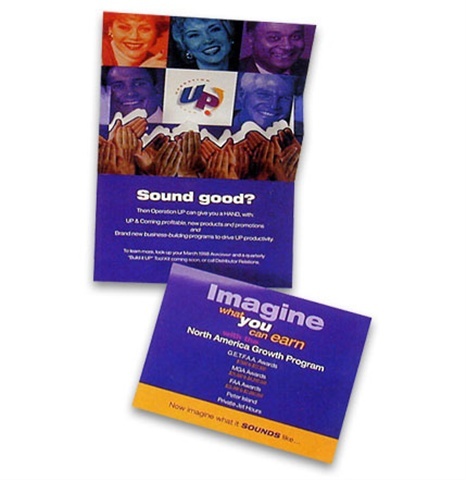 Construction Equipment Magazine used this card and incorporated a perforated Business Reply Card in order to remind advertisers of a special issue. 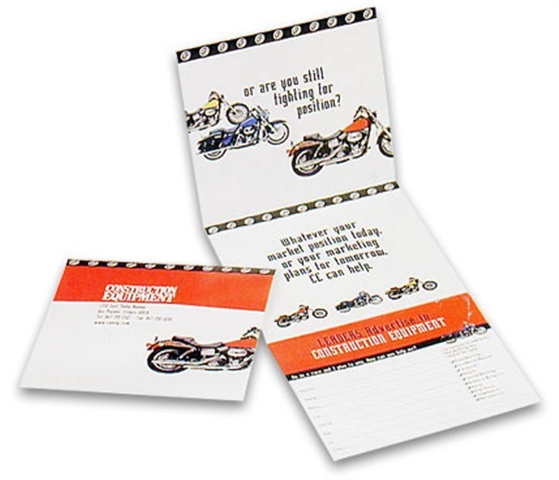 The motorcycle theme of the artwork is complimented by our MOTORCYCLE sound. 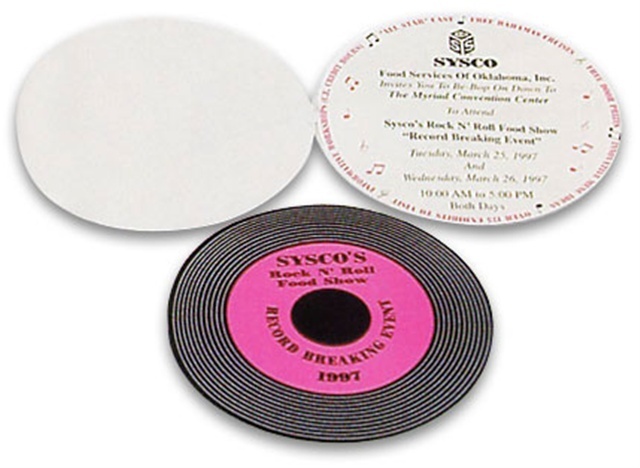 In order to promote record breaking sales, Sysco Foods used this record shaped card with an old rock 'n roll melody as an invitation. 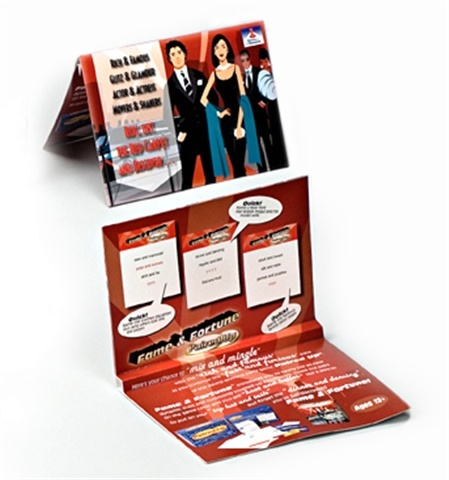 In order to introduce a sales competition, we produced this colorful card for a major food company with our BREAKING GLASS sound. It was a "smash" hit. When Volkswagen wanted to inform select employees of their "stellar achievement", they used this classy announcement with five brilliant white LED lights. 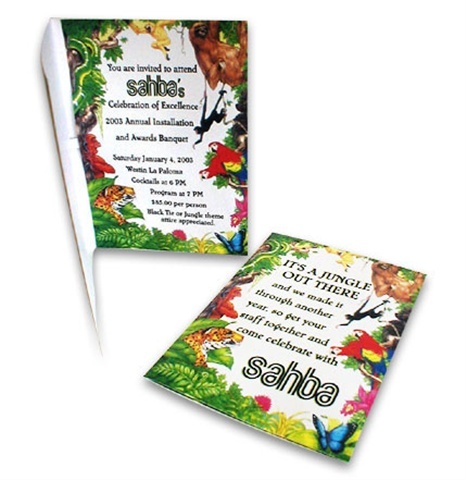 A jungle party theme with a jungle motif invitation and our stock jungle sound. 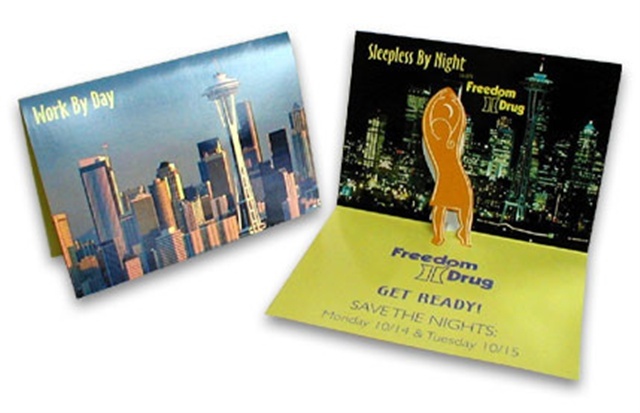 A pharmaceutical company used this colorful pop-up card with a custom orchestrated song to notify their reps about two exciting days and nights of events in Seattle. 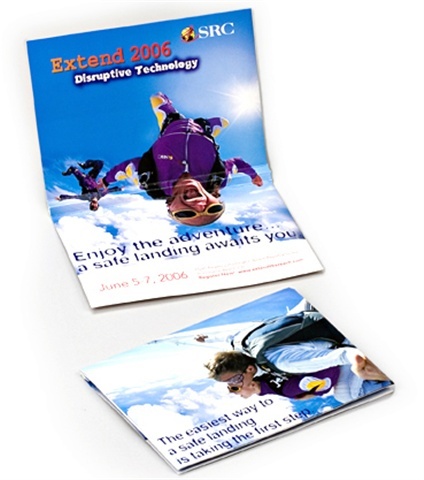 This was a two part project. 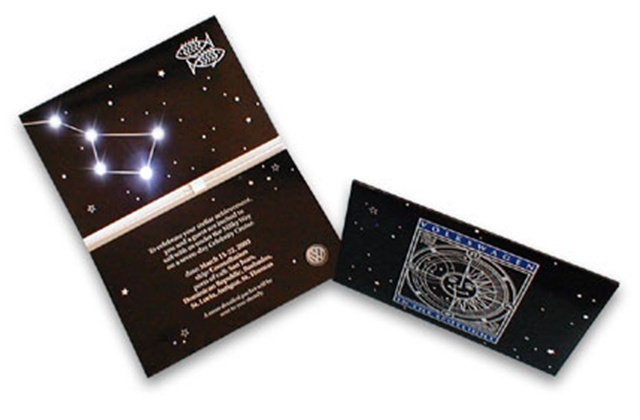 First, a major book publisher sent out a musical card to buyers with a special offer on a musical display for a new book. 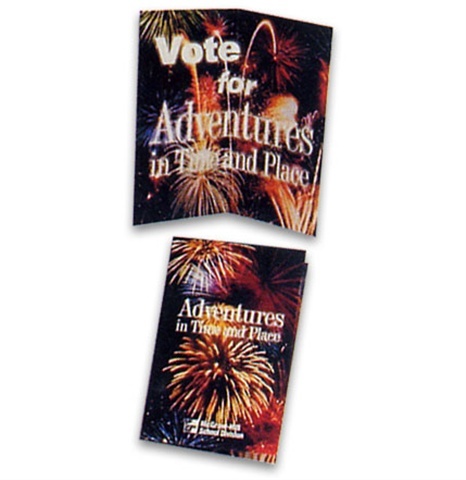 The displays were capped with another card that included the same music. 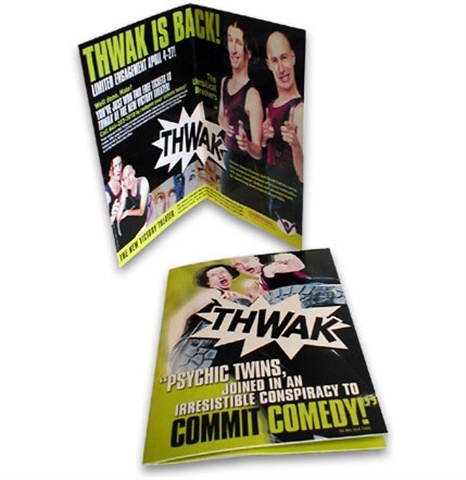 To announce the return of the outrageous Australian comedy "Thawk", a Broadway Theater distributed these custom cards with a voice message from one of the stars letting the recipients know that they won tickets! 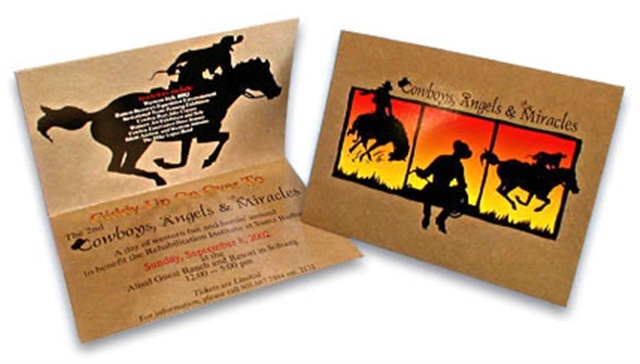 An invitation for a truly successful Western style fundraiser held at a ranch for a non-profit organization with our stock HORSE sound. 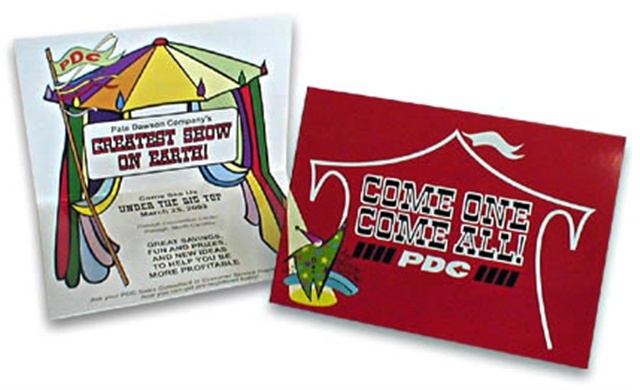 A major food service company sent these invitations for guests to join them at a circus event. 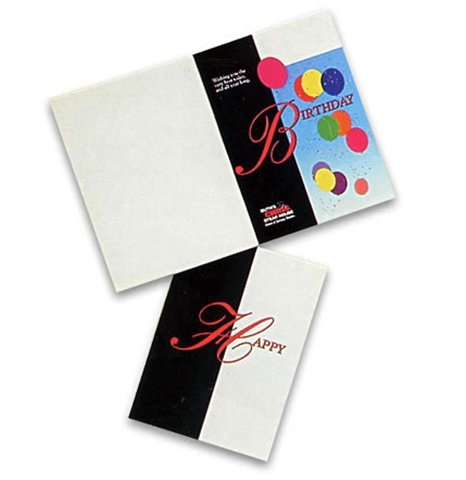 This card included our stock circus music.